Headquartered in Dallas, Texas, AT&T Wireless is the second largest provider of mobile solutions across the United States. The company’s roots date as far back as 1885 when they were known as American Telephone and Telegraph, and operated under the parent company Bell Telephone Company, which was founded in 1877 by Alexander Graham Bell. Today, it is one of the largest mobile phone providers in the world and has more than 100,000,000 customers. Are you tired of getting dropped calls or fuzzy reception? Use one of our AT&T Wireless coupon codes for incredible savings on services and products from one of the world’s leading telecom carriers. 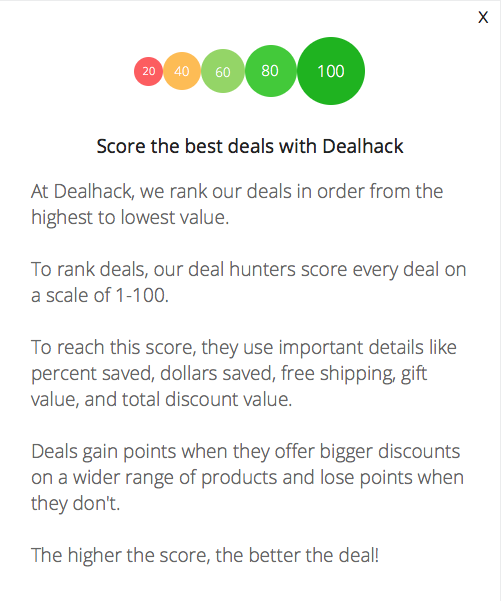 If you’re looking for the lowest prices available, always make sure you visit Dealhack before you shop. We dedicate ourselves to making shopping less expensive and more fun. Ready to learn more about how to save at AT&T Wireless? At AT&T, you’ll find all the newest, must-have mobile solutions on the market. The company sells smartphones (like iPhones, HTC, BlackBerry, Samsung), tablets, mobile gadgets, and accessories. In addition to these products, you can also sign up for one of the many services offered by AT&T Wireless, like home phone, digital TV, and Internet services. Want to be the envy of all your friends? Check out AT&T’s latest wearables and get yourself something like the latest Samsung wearables. This trendy gear features hands-free calling, a music player, and great tools for those who are more active, like a heart rate monitor. You’ll find a wide range of wearable fit gear and smartwatches on the AT&T website. Follow AT&T Wireless on Facebook, Pinterest, and Twitter to discover awesome new products and take part in great giveaways. To get in touch with a customer service rep from AT&T, dial 1-800-331-0500 or hit their contact page. Savings with AT&T Wireless are just a click away. All you have to do is browse through our incredible collection of deals and grab one of these AT&T Wireless coupon codes. Enter your work or school email address on this page to find out if you’re eligible for an AT&T Wireless discount. Bundle AT&T services to save more. If you prefer a particular brand of phone, you can filter your phone search by manufacturer. Wireless product contract lengths vary. You can filter wireless phone packages by contract length, no annual contract or two-year commitments. You can find phones that offer a variety of operating systems such as Android, iOS, and Windows. What is Today's Best AT&T Wireless Coupon? Currently, the best AT&T Wireless coupon is 'Free Returns on any order'. There is no code required to claim this offer. AT&T offers free shipping on most phones. The cable and internet services do require installation which is to paid for by the customer. Installation rates vary. AT&T is so confident you will be happy with your new purchase that they offer free returns. The returns need to be made within 14-days of the purchase.